Franciscan University of Steubenville is a four-year university offering 36 undergraduate and six Master’s degrees. The institution serves students from the local area as well as students from all 50 states and 14 foreign countries. FUS is academically challenging and boasts a Catholic-based community atmosphere. Transfer students must submit an application and application fee. The fee is waived if the application is completed online. In addition, students must have official transcripts sent from the college and university attended. Transfer students with less than 24 credit semester hours must also submit official high school transcripts and copies of the ACT or SAT. Upon acceptance, students must submit a non-refundable deposit, a University medical form, evidence of insurance coverage, and boarding students must complete a housing contract and roommate form. Full credit will be given for most courses transferred from WVNCC, provided the grade for each course is C (2.0) or better. Courses in which grades below a C are earned are not automatically transferable. A final Advanced Standing Evaluation is subject to the approval of the student’s academic advisor. Students may not earn credit for a course or equivalent for which prior credit was earned. 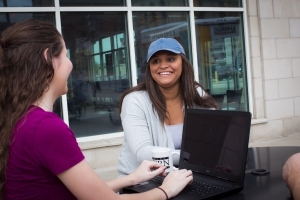 Transfer students must earn their final consecutive 30 semester credit hours at FUS. A minimum of 12 semester credit hours in upper-level courses in an academic major must be earned at FUS. To qualify for an academic minor, transfer students must earn at least 6 semester credit hours in upper-level courses at FUS. A campus visit is encouraged. Students receive a tour of the campus and have the opportunity to attend a class and meet with faculty and admission counselors. Contact the Admission Office as 1-800-783-6220 at least two weeks prior to the time of visitation. It is also possible to view the Visit Schedule and complete the online form to schedule an appointment. Financial aid eligibility is determined through the Free Application for Federal Student Aid (FAFSA). The school code is 003036. About one month after completing the FAFSA, financial aid packages are sent. After signing and returning the award letter, Fall bills are typically sent from mid-May to early June. Questions can be answered by calling 740-283-6226 Monday through Friday between 8:30 a.m. and 4:30 p.m. or by emailing finaid@franciscan.edu. Transfer students will qualify for an academic scholarship when the following criteria are met: minimum college GPA of 3.4 on a 4.0 scale while attending full-time and taking college level courses. Students must have completed at least 24 semester hours to be considered a transfer student.